Livestock shows are great opportunities for members to share their passion for working with animals and gain valuable skills such as responsibility, commitment, and professionalism. 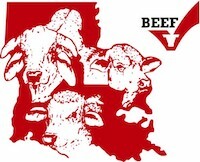 The following lists the upcoming livestock shows in Louisiana. 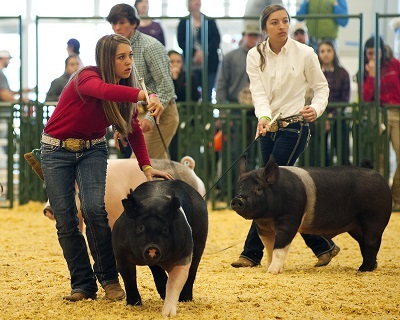 For more than 70 years, LSU has hosted state livestock and horse shows, which serves as a showcase for Louisiana’s vibrant livestock industry, as well as the adults and young people involved in it. Visit LSU's website to learn more. 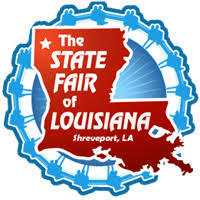 The State Fair of Louisiana Livestock Department is responsible for a majority of the events which take place on the Fairgrounds. Besides planning and conducting all the livestock shows throughout the 14-day State Fair, the Livestock staff also handles events. The livestock facilities are rented several weekends a year for many agricultural-related activities. 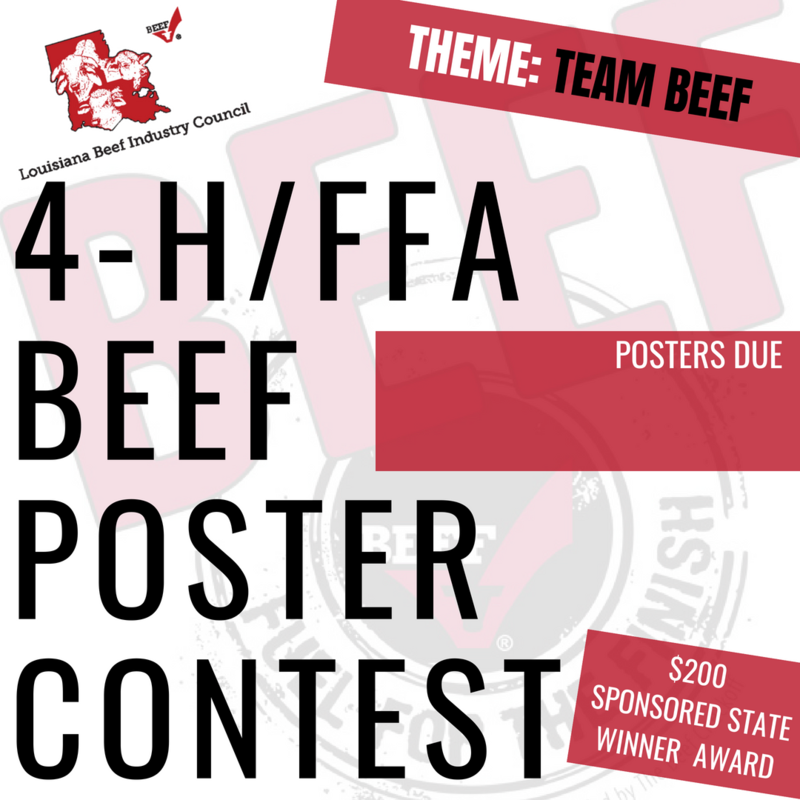 The 2019 contest theme is Team Beef: Fitness and Nutrition Focus. Posters must be on 22 inches by 28 inches poster board and must include the participant’s name, address, age, grade and parish/chapter on the back upper right corner of the poster. The contest encourages participants to learn more about the beef industry while promoting beef industry nutrition and products.